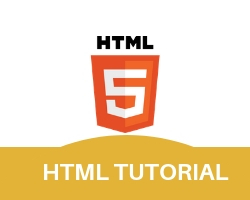 HTML Headings tag is used to define headings at your web page. <h1> Tag defines important headings and <h6> defines the least important heading. i) In the first line we declare heading tag <h1> with <br/> tag, br tag is used to break the line. ii)In the second statement, we use <hr> tag which displays the line across the heading 2.
iii)In third statement <h3> simply used to display sub-heading.